This is my first time taking part in Nancy’s Photo a Week Challenge, but I’m sure it won’t be my last! This week’s theme is ‘Nature’s White’. Everyone is welcome to participate. Lovely image and beautiful haiku. 🙂 Thanks for joining the challenge! 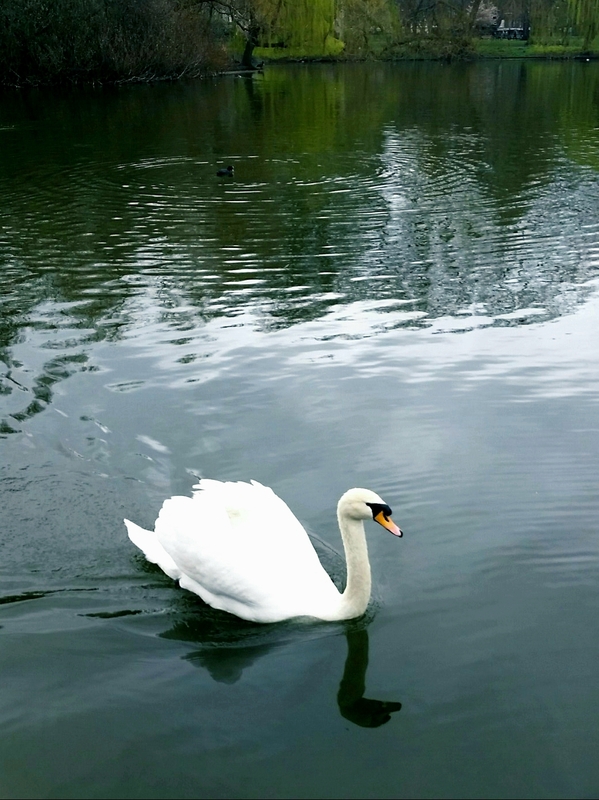 I really liked this imagery – the reflection and the swan travelling as a pair but separately.